I have absolutely nothing against people practising any martial art for non-defence/combat reasons. In fact, my own reasons for practising martial arts have, for a long time now, mostly been of the "non-fighting" variety. I love the "art" side of it: the physical expression through movement, the perfection of form, the development of skills and coordination. I love the exercise, the movement that ensures practical flexibility into old age despite the toll of wear and tear from injury, illness... and just life. If you're looking to martial arts for "effectiveness" in the sense of an activity that will keep you physically and mentally well, I can't recommend martial arts enough - in particular the Chinese martial arts and even more so the Chinese "soft" or "internal" arts. But effectiveness for "fighting"... well, that's another story. I've long maintained that civilian defence needs are subtly but significantly different to MMA-style cage fighting or any other combat sports. Now this does not mean MMA/sports fighters aren't supremely able to defend themselves in a civilian context - merely that the traditional martial artist's different technical approach should not be completely discounted simply because he or she might fare rather poorly in a cage match against an MMA fighter. It's horses for courses: you probably won't get the average ma, pa and kids in an MMA gym. They are more likely to train in a lower-contact, civilian defence oriented traditional art. Okay, they probably aren't going to be nearly as "tough" or "battle ready" as a pro fighter - or even just the regular MMA gym attendee. But... with the right emphasis, in training, traditional martial artists can be effective at negotiating the sorts of physical altercations they are likely to encounter. And they'll be able to do this using the sorts of techniques best suited to this task. So the question is: are they getting that emphasis? I'll leave it to blogger "Nysanda" to discuss the state of Chinese martial arts today in terms of their general efficacy - in both combat sports and civilian defence. I think his essay on this subject is very enlightening. 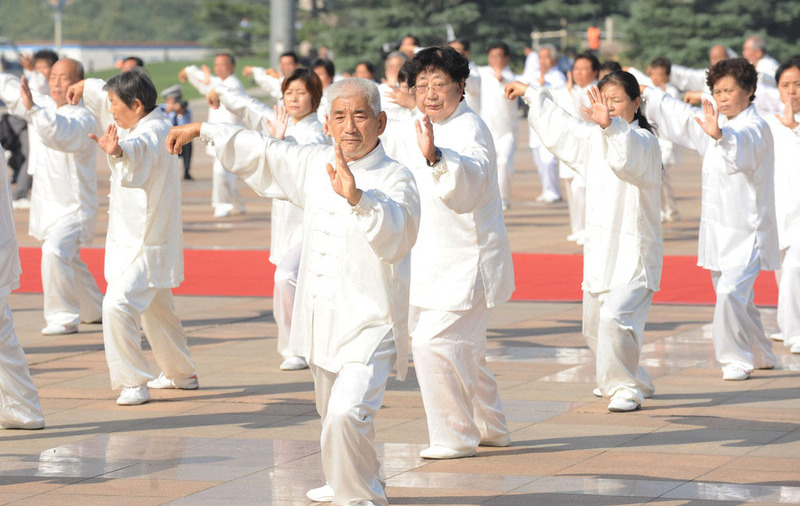 Are the Chinese martial arts good for civilian defence? Technically, I believe they are brilliant, especially in their "unaltered for performance art" incarnations (which often, but by no means always, means earlier versions that survived the Cultural Revolution, whether "underground" on the mainland or offshore in places like Taiwan, Hong Kong and the Philippines). However I hold it to be fairly evident that, in terms of the vast majority of practitioners today, traditional martial arts are not being practised in a way that is effective for civilian defence. Remotely. While this is true of most, if not all, types of traditional martial arts, it's safe to say that it is especially true for the Chinese internal arts. I say this despite my belief that the latter contain some of the most valuable technical material I've ever come across in terms of effective, pragmatic and efficient civilian defence methodology. Indeed a large part of my blog and Youtube channel is dedicated to analysing some of this methodology (as I understand it anyway). 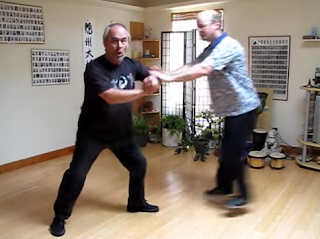 My series of "clinics" on taijiquan qin na (joint manipulation) give you my most recent examples. So in other words, for me the "magic" (such as it is) of the internal arts lies in what I've called the "knowledge of the ancients": a basic but dependable technology that is as pertinent to mankind today as it was in the pre-industrial and even stone age. As we have moved into a more and more structured regulated world, as our social and political structures have become more and more complex, we have moved further and further away from the days when our lives were "brutish, nasty and short" - when we might well have faced a higher imperative to understand the mechanics of defence using nothing but our bare hands and maybe a blade or just a piece of wood. Yet for all the changes in our world, we are still the same basic animal, with four limbs that only bend in particular ways, etc. (for more on this issue, I invite you to read my essay on this, totally separate, subject). I am firmly of the view that in traditional martial arts, this "ancient knowledge" is preserved in forms: sequences of movements that act as a kind of encyclopedia of information, codifying techniques and how they relate in a dynamic world against a resistant, aggressive opponent (or, more probably, more than one opponent). Which is why the thing that annoys me most of all in my internet dealings is when I get scathing attacks from "infernal internals" (as my friend, white crane specialist Martin Watts, calls them). These attacks centre almost exclusively on my analysis of the meaning of certain moves in forms. Which is strange - because they almost never say what it is that is wrong with my approach. Apparently "it's just wrong." Either that, or criticisms are leveled in far more vague and jargonistic dismissals, such as my "lack of root/centre/base"1 or that my "jins are all over the place" and are "corrupted by karate" or that I "don't understand the 6 harmonies" etc. Yet almost exclusively it is these very people who tend to sneeringly dismiss my interpretation/analysis of applications as "crap" that "won't work". practise applications with an utterly compliant "zombie" partner. Their only other practise is some pushing exercises (nothing wrong with that - but it's hardly fighting, especially when it is only ever done "softly"). They post ludicrous videos of "pushing" partners - compliant partners who start hopping around for no good reason - as if subject to some sort of paranormal force. How anyone can believe this nonsense is a mystery to me. Call it a very bad case of wishful thinking meets cognitive dissonance with a healthy dose of mentalism from a martial cult personality. Sometimes they post videos of themselves practising their "fajin" against some sort of bag, measuring their efficacy by how far they can push the bag (somehow they always seem to come back to pushing and inert objects) - forgetting that however much they impress themselves, a garden variety boxer would punch the same bag and push it 4 times the distance - as well as bend the damn thing in half! If these jokers ever "spar" (in some manner other than a gentle "pushing contest"), they default to "faux boxing" - using movement that has no connection with the forms they practise but which constitutes a rather poor "Bruce Lee meets Muhammad Ali" impersonation. They don some headgear and gloves and spend 90% of the "sparring match" dancing around each other. 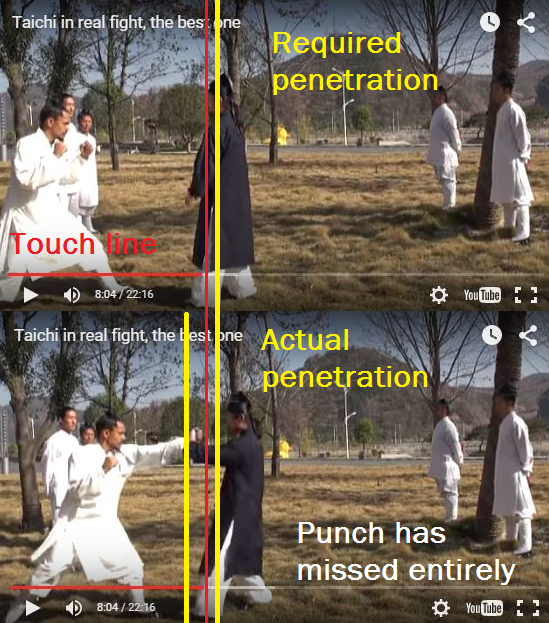 When they do throw some insipid, out of range attacks, they use "techniques" that look nothing like the art they purport to practise; techniques that would cause them to be taken out in seconds by a sports fighter - be it a boxer, grappler or even your average suburban competition karateka. When they accidentally fall into the melee range all hell breaks loose as they duck, weave, bob and flail about in a frenzied panic. Whatever they are, they are not "authorities". And whatever their "experience", it doesn't mean they know anything about "fighting" (which is a term they use a lot). But let's be frank: when it comes to the internal arts, even these people are a small minority. Most folks practising the internal arts just practise forms - as an exercise. And there is absolutely nothing wrong with that! Because the vast majority of these folks don't then go on to talk with "authority" about what "works" and "doesn't work" in a "real fight". They just engage in the activity because they love it and it's good for their health. And I say good for them! I have all the time in the world for people who enjoy taijiquan or other internal arts for "non-combat" reasons. Heck, I credit the health aspect of the internal arts as part of what has helped keep me active despite the often debilitating autoimmune disease I've battled for the last 15 years or so. I obviously also have time for people (like myself) who have, for a variety of reasons, passed the point of training with "hard knocks" - or maybe who have never been interested in it - but still enjoy dissecting techniques and understanding the underlying science of martial application. In my case, even if I can no longer go at it hard and fast, I can pass on what I've learned and watch my students applying this knowledge in a resistant environment. In other words, I can analyse and I can coach. However I most definitely don't have time for "infernal internals" - people I call "fajin fantasists". Typically they believe that "fajin" (what they imagine is a kind of mystical "force") can be generated via nothing more than small shrugs - shrugs which cause people to jack-knife backwards violently (curiously, in exactly the same way someone who is jumping backwards - fancy that!). I've already covered this topic in another article (see my article "The woo way of taijiquan"), but if you want to see an example of someone who seems to believe in this sort of thing sincerely, take a look at this article I recently came across titled "The Fajin Controversy". Take particular notice of the video embedded in it. Schools like this are dime a dozen. I can't believe anyone can be taken in by such wishful thinking, but the class sizes in the videos say it all. People want something for nothing - even though common sense should tell them that this is not possible. Typically it is these types of people who take grave exception to my analysis of honest, mechanical applications of taijiquan and the other internal arts. "Where's the fajin?" they ask. "Why is all this 'technical stuff' necessary when one can summon up this mystical power via the bones and ligaments and release it as a powerful energy?" If they happen to know some applications, they are utterly puzzled that what I show looks nothing like "their" applications of the same movements (as if there was ever just one interpretation of a taijiquan sequence). I've had no contact with these particular people and I'm not suggesting that criticism has somehow emanated from them. But, for want of a better example, it's their sort of application that is often thrust at me as "the real McCoy" (as opposed to my "flawed" interpretation of the internal arts). The attacks are always launched from a standing start using a single technique. The attacks are also exclusively step-through lunge punches (an inherently unlikely attack). The defences often rely on catching the wrist as the punch is "in flight" towards you. The attackers stand and wait for a counter as if they were zombies. I don't want to be too hard on this video: as series of "one step" exercises, it's not too bad. I still have time for this sort of training, although I think factoring in realistic attacks at a correct distance and follow up techniques would make it much better. However there is one important thing you should note: point No. 4 is utterly irredeemable: it is totally unrealistic and cannot work. No one can "catch punches out of the air" like this - not on the outward journey anyway - and any application that relies on the on this as a tactic is completely misconceived, necessitating a return to the drawing board. The rest of the features of the one step training can be fixed/rescued - at least to some degree - but not the hand catching thing. Overall, if this is the "be-all and end all" of this school's application interpretation and practice, it's not really very good - is it? And lest I sound too scathing, this is where karate was even in the 80s. Except that karate has at least always done hard sparring. Yes, there was a disconnect between the free sparring and the kata applications (in the "old days" bunkai - applications - were always practised against just one lunge punch, which was generally out of range!). But they (the karateka) nevertheless made the "whole deal" work - after a fashion. As one of my seniors likes to say: "They knew how to fight." It seems to me that many mainland Chinese schools of gong fu (unlike offshore fighting stables such as Hong Yi Xiang's "Tang Shou Dao" in Taiwan, etc.) did not follow suit in this regard. Indeed, that is why I gravitated from pure karate towards Hong's method back in the 80s: it was actually applying form as realistic function in a way that karate, at that point, was not. Now it seems that at least the top end of karate has evolved: its techniques (which are really quite similar to the internal arts in most respects - they are both civilian defence arts, not sports) can and are being used in MMA etc. In civilian defence, top coaches and teachers like Masaji Taira, Patrick McCarthy and Iain Abernethy have built a huge international following based on drills and applications that rely on more realistic paradigms of both attack and defence. While the same is true for some schools of Chinese arts (eg. the schools of Luo De Xiu, Su Dong Chen and Tim Cartmell) it seems to me that the overwhelming majority of internal arts schools cling to a methodology that is proudly based upon the wishful thinking of some kind of "force from nothing", (occasionally supplemented by the "one step sparring" of yesteryear or some even less realistic "zombie" defence drills). Many proudly speak of their "no sparring" policy - justifying it with a delusional view that their techniques are "too lethal for sparring". It's no small wonder then that, fajin fantasists from such schools evince a stubborn refusal to consider applications involving such obvious factors as consecutive/multiple attacks, and some element of resistance (ie. the likely responses) to your counters. Yet, when I look at the internal arts forms, I see this as one of their major advantages: the applications are often brilliantly simple, yet account for (by negating or predicting) likely responses. In this regard I think they comprise a fluid, and advanced system of traditional defence - an extension/cousin of what many karateka are already demonstrating (very effectively) in resistant environments (including MMA). In my next article I intend to discuss some parallels between karate and the internal arts to illustrate this very point. But the fajin fantasists won't be happy to hear me say that. To them, karate (more than any other "external" art) is a dirty word. Because their mysterious "fajin" and "qi power" makes them infinitely superior (via the use the bone and ligament, not the muscle). Look: train for fighting or don't train for fighting. Dabble a bit or a lot. There's no shame in any approach - they are all good. Just stop imagining your internal art gives you super powers just because you "feel" things in your studio with your master (whom you worship). If you come across an application different to your interpretation, see if it offers you fresh insight. If it doesn't, move on. Or, if you feel you absolutely must, offer a reasoned and cogent explanation for why you disagree with the approach. In my experience, those who snort contemptuously and leave short, arrogant dismissals are fantasists. I have yet to encounter a single real fighter who acts like this. Fantasists have nothing to offer except their money to the nearest snake oil salesman. Don’t be that person. We already have enough of them in the internal arts. Is there such a thing as "fajin"? I believe so. It's another name for what is called "kime" in karate: the focused use of force. It's what differentiates a civilian defence punch from a sports punch. It is powerful - for a conservative punch that operates mainly as a thrust (to reduce openings), but not nearly as powerful as a combat sports punch overall. It does however maximise your force in "short" (relative to a boxer's cross), relaxed/loose movement that terminates suddenly at a predetermined point. This is vital to civilian defence applications. And it can be pretty amazing to see in action, as it produces some effective (sometimes counter-intuitive) results. Whichever way it goes, fajin/kime remains a skill to be acquired with great effort (ie. "gong fu"). It's not magic. It's not even particularly "internal" (ie. belonging to the family of Chinese internal arts of taiji, bagua and xingyi). It's part of traditional civilian defence: the knowledge of the ancients. 1. It seems odd to me that fantasists will complain about my "lack of root" when this is something I've spent decades developing - and demonstrating in partially (and, at least a couple of times, fully!) resistant environments. When I show them the video below they scoff even louder. "Ha ha. That's so lame. You should see my master by comparison!" Well I've seen your master and sorry - his videos feature totally co-operative, gullible or complicit students doing crazy things under the influence of mentalism. Don't insult my students who are skeptical thinking people using reasonable resistance in an honest environment. Or I get told: "Oh that's just a trick." No. It's not a "trick". It's not meant to be "magic" or some sort of "super power" or some kind of "fighting method". It's an isolated demonstration of stability in stances - a test of "rooting" or "grounding". It's not as easy as it looks. It's a skill I've been trying to perfect for 35 years. And yes, it's honest. Not like the chi/ki tests or "fajin demonstrations" of the fantasists. 2. Huw Evans put me to proof on the issue of range. Okay here it is. Given the generally accepted fact that in order to generate enough deformative damage, your punch really needs to penetrate to a depth of about one fist at full extension, the image below shows just how far out of range these guys really were. You can tell by the tree behind what movement there has been. The punch wouldn't just have not landed with insufficient depth; it would have missed the target entirely. If the defender stood absolutely still and didn't flinch a muscle, the attacker might have scratched the hair on the defender's chin. But I really doubt it. This is not a realistic punch. Huw - for the effort mate, you owe me a beer!